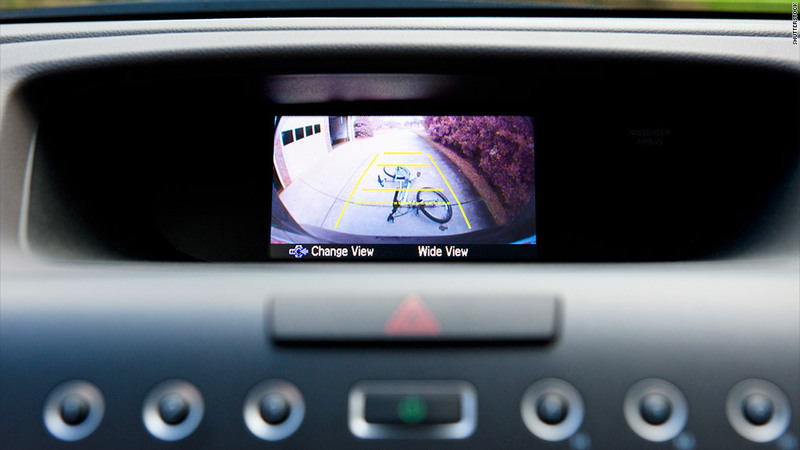 Rear facing cameras give drivers a view that could prevent accidents. Automakers haven't been previously required to include these systems but NHTSA did recommend it, saying it can save many deaths and injuries from backover crashes. There are nearly 210 backover deaths each year, the agency said. About a third of those deaths are children, and many are caused by parents, it said. "Safety is our highest priority, and we are committed to protecting the most vulnerable victims of backover accidents -- our children and seniors," said Anthony Foxx, the transportation secretary. "As a father, I can only imagine how heart wrenching these types of accidents can be for families, but we hope that today's rule will serve as a significant step toward reducing these tragic accidents." NHTSA expected the system would cost about $140 per new vehicle -- and less for those that already have in-dash displays installed. "Today, the government has stepped forward as a strong advocate for cameras on cars, and this action helps pave the way for using cameras in other ways on vehicles," the Auto Alliance said in a statement. It also pledged to ask "NHTSA to allow automakers to remove side-view mirrors and replace them with cameras that may expand side vision while increasing fuel efficiency." Several safety advocacy groups sued the government and asked a federal judge to require backup rules be adopted. Those groups said Monday's announcement was long overdue. "While the administration delayed the rule, more children died in backover accidents," said Robert Weissman of Public Citizen, one of the groups. "The cost of regulatory delay, in human lives, could hardly be more clear than it is today."